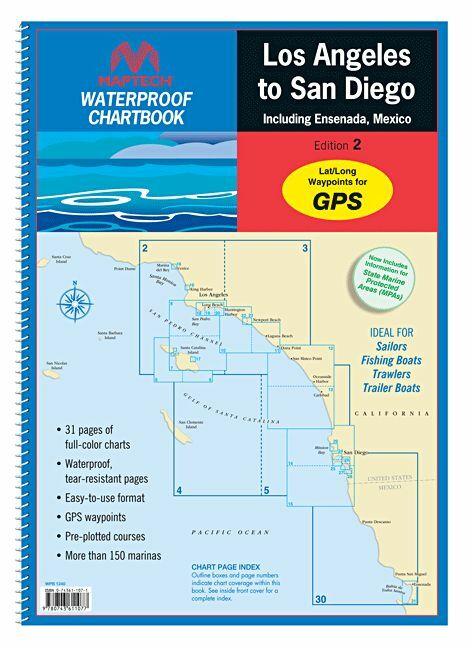 Includes Catalina Island, Ensenada, Mexico and detailed harbor charts. 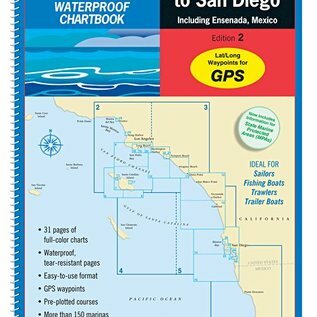 31 chart pages, GPS waypoints, Lat./Long. grids, courses, anchorages, ramps, and marinas. 12" x 17", scales 1: 870,000 to 1:10,000.